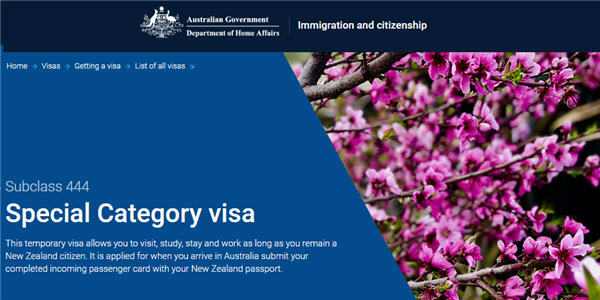 The Special Category Visa (SCV) is a temporary visa that allows New Zealanders to stay and work in Australia, as long as they remain a New Zealand citizen. Anyone arriving in Australia on a New Zealand passport, without a visa, will automatically be issued an SCV, subject to meeting the health and character requirements. The SCV is automatically cancelled upon departing Australia. Therefore, New Zealanders who usually reside in Australia are not a “resident” for insurance or other purposes when outside of Australia. Which type of SCV are you? The Migration Act (1958) specifies only one Special Category Visa, subclass TY 444. It is the Social Security Act (1991) that defines the type of SCV you get, depending on when you arrived in Australia. If you are a New Zealand citizen who first arrived in Australia after 26 February 2001, you’re a non-protected SCV-holder. This means you are not an Australian resident for social security purposes and not eligible to apply for citizenship. assessed as a protected SCV holder before 26 February 2004. If you meet these rules, and live in Australia, you are an Australian resident for social security purposes. You are also eligible to apply for Australian citizenship after residing in Australia four years immediately prior to applying. in Australia including Norfolk Island, for 12 months in the 2 years immediately before this date. If you formerly held a Norfolk Island immigration temporary, general or unrestricted entry permit you may be able to apply for an Australian permanent visa. Contact Centelink International Services or request your travel records to confirm whether you are a non-protected or protected Special Category Visa-holder. New Zealanders granted a permanent visa will revert back to a Special Category Visa if they enter Australia with an expired travel facility. Check the Must Not Arrive After Date on your Visa Grant Notice and keep a copy with your passport. Once you are granted Australian citizenship you should always depart and enter Australia on an Australian passport. Your Special Category Visa remains valid even if your passport expires. Oz Kiwi recommends you and your whānau always have a valid passport. Do not wait for a family emergency before renewing your New Zealand passport. New Zealand passports take 10 days to process, but urgent requests cost AUD$826 for an Adult and AUD$737 for a Child.